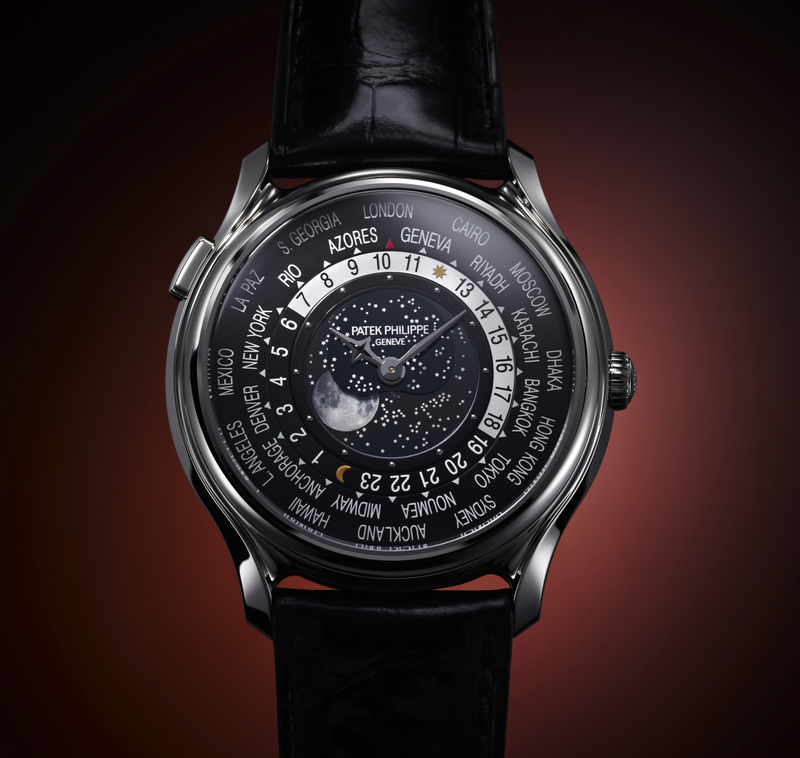 Earlier this week in Geneva, Patek Philippe unveiled 10 new timepieces to commemorate the brand’s 175th Anniversary. Powering the World Time Moon is the all new caliber 240 HU LU. This ultra-thin self-winding mechanical movement features a 22K gold micro rotor with unidirectional winding. 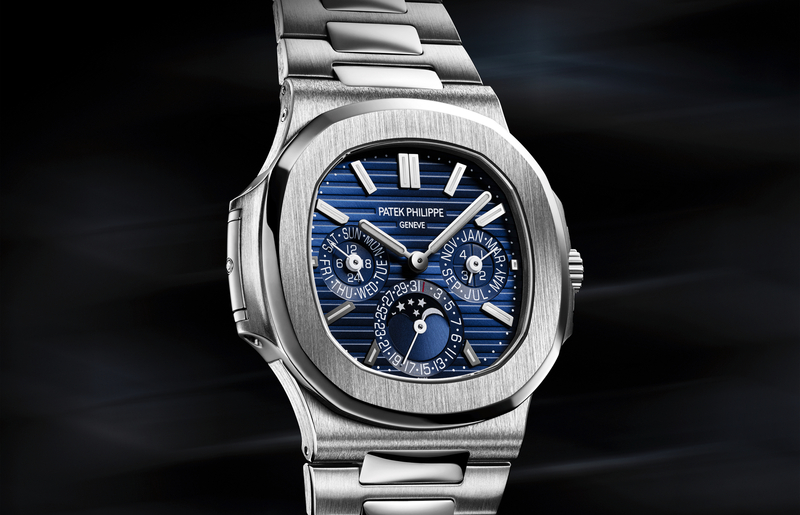 It utilizes a free-sprung, Gyromax balance wheel and Patek’s silicon, Spriomax, balance spring. The balance cadence is 3Hz and the maximum power reserve is 48-hours. The movement has 35 jewels and consists of 270 total components. 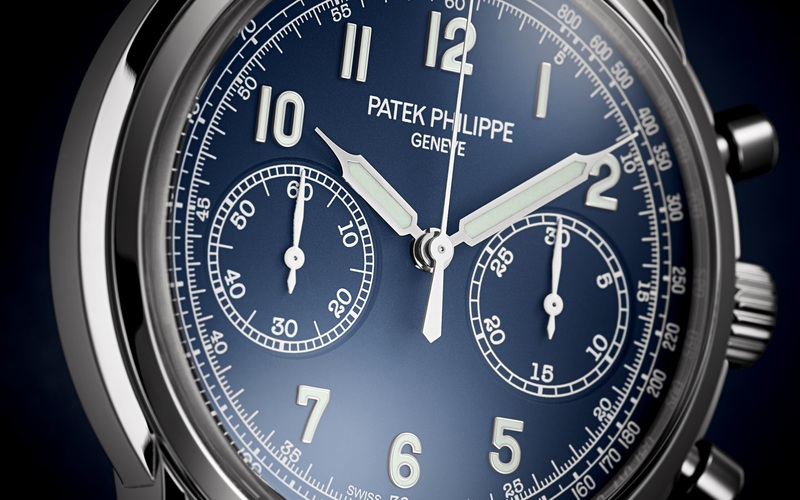 Chronometrically, it exceeds official chronometer specs with a maximum daily deviation between -3 and +2 seconds. The main plate is decorated with perlage, and the bridges and rotor are decorated with Geneva stripes. The multi-part dial is made up of two peripheral rotating scales and large moonphase display in the center, as well as 18K white gold hour and minute hands. The world time function allows all adjustments to be performed with a single pusher at 10 o’clock. When making corrections, the mechanism is separated from the movement, so the oscillation of the balance and the accuracy of the minutes hand is unaffected. Each time the pusher is pressed, the central hour hand advances one hour, while the city and 24-hour disks move counterclockwise by one time zone. For example, if the hands previously indicated 10:15 as the local time for London, they now display 11:15 for Geneva. The men’s model (Ref. 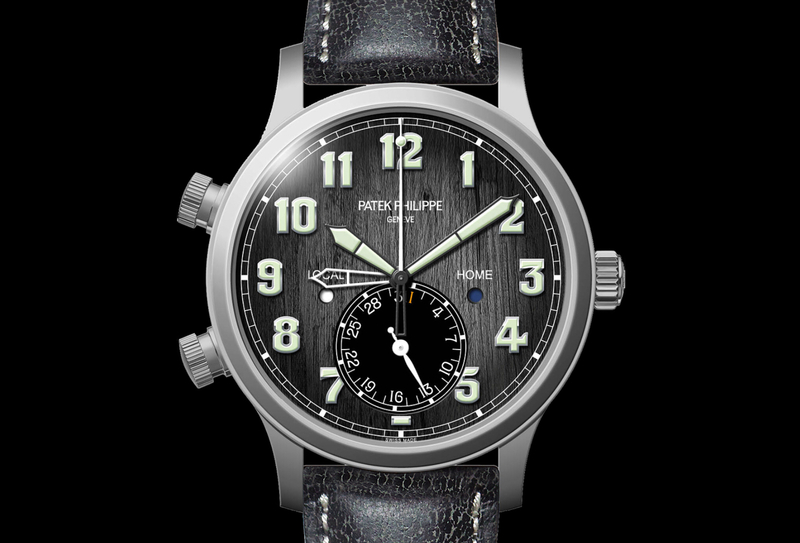 5575G-001) is limited to 1300 pieces and will retail for 46,000 CHF. It is 30 meters water-resistant and comes paired with a hand stitched, shiny black alligator leather trap with large squares and a Calatrava fold-over clasp in 18K white gold.